Sometimes I surprise myself with how I come up with things. It’s a totally ADD, can’t stay on track with a single thought because it snowballs into something else entirely type of thing. Completely randomly, and because I see a pine cone right now and I’m going to type it as I think it and we’re going to start with that so I can show you what I mean. My first thoughts are almost always “what can I do with this?” Here we go… pine cone with peanut butter and seed into a bird feeder. I saw the weirdest cardinal the other day with a pink head and brown body. I think it might have been a mutant. I wonder why Jennifer Lawrence agreed to be in the X men movies. Are they that popular? She’s the lead in Hunger Games for crying out loud. Surely she can have any part she wants, right? She’s such a good actress. Like in that Winter’s Bone movie that gave me nightmares about the hand in the water. I should make a craft with shaped hands. I’m going to order some alginate! And so when I went to Trader Joe’s for the first time (and fell in LOVE!) 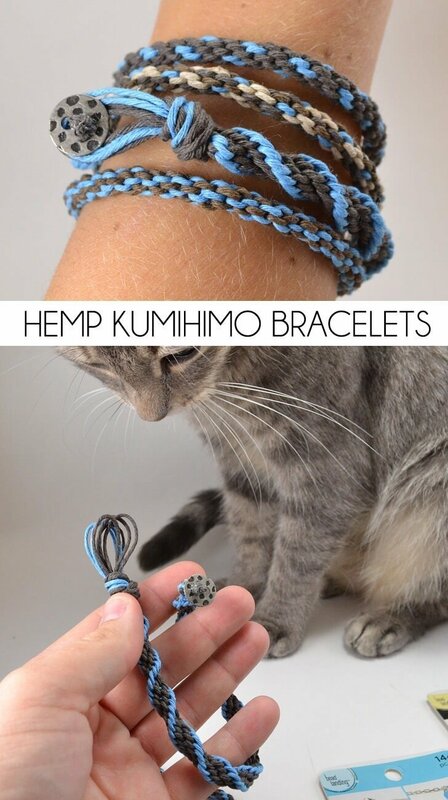 and saw hemp hearts I somehow got around to making Kumihimo bracelets out of hemp cording. So, yeah. Let’s do this thing already. I like when things match and so I often create sets of things for myself from one color pallet. The easiest way that I know of to rock out something that matches well without having to think to hard is to by already matched sets. These that you see above came from Michael’s. 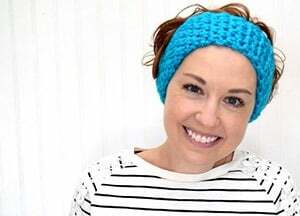 If you’re an online shopper and lover of bright colors, you must check out this set from Hemptique… so pretty and so fun! And these variegated cords would go with them so well! 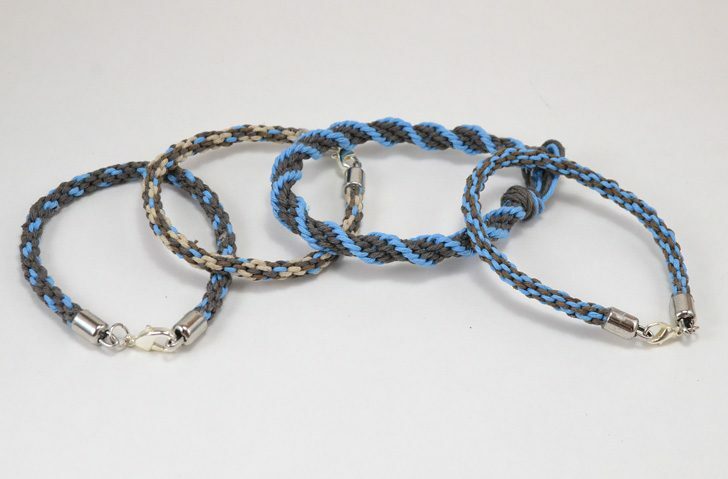 The bracelets I made that are shown in this post were made from string that came in a big package of hemp cording where I had to match colors up myself. This can be fun but if you’re not so great and making color sets the 4 piece sets already matched up are awesome. You can make up a whole mess of braids while you watch TV or, like I mostly did, while you travel. A little bottle of quick dry Tacky Glue tossed in with your supplies and you can even get the ends ready. As an added bonus you won’t have to worry about them unraveling! For my simple braids I tied the first end in a knot to start and then glued the other end together when I got the length I needed. Finish the knotted end with a quick round of glue to make both sides ready for barrel end caps. 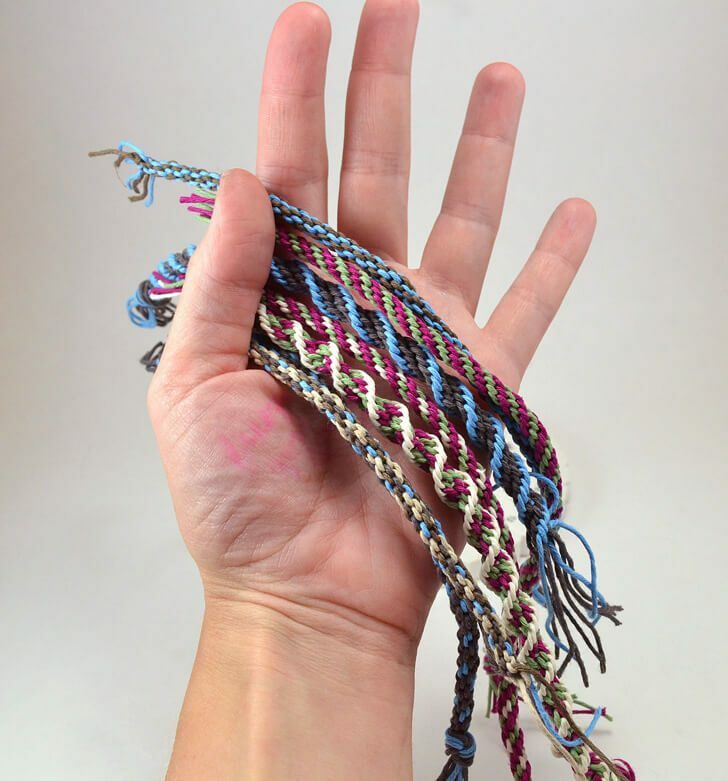 Need help with a basic Kumihimo braid? Using some glue like e-6000 you can glue on your barrel ends. 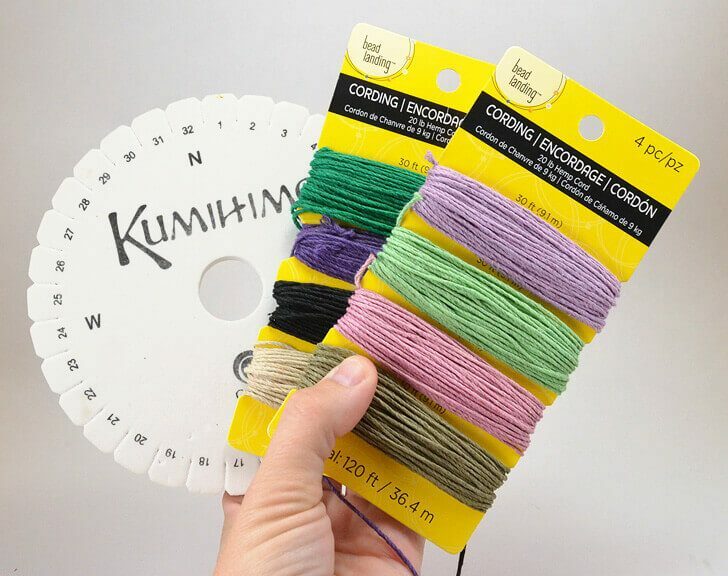 You can find these in Kumihimo finding kits or individually. 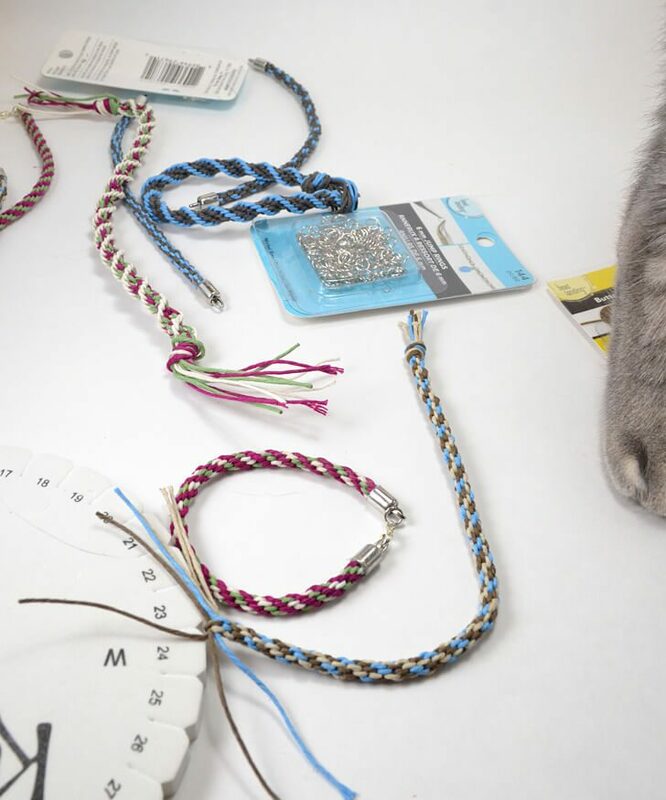 I like the kits so that I have a lot to choose from for different sizes of braids. 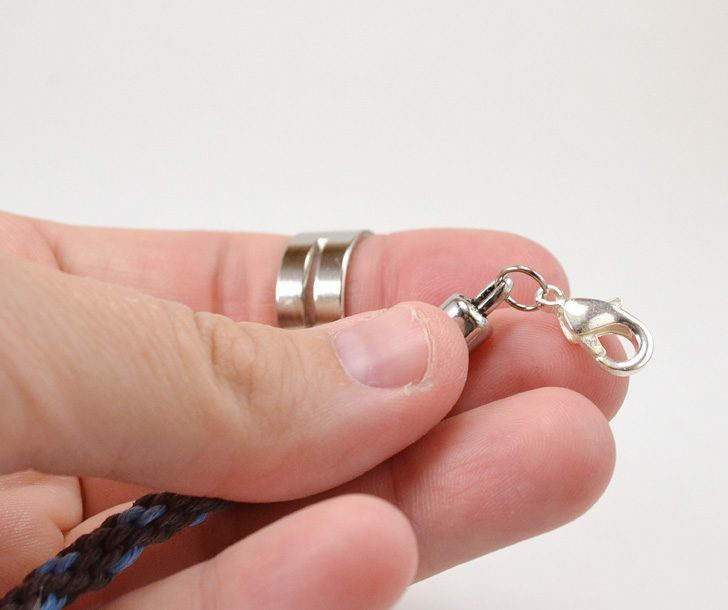 … and place a lobster clasp on one of the ends. 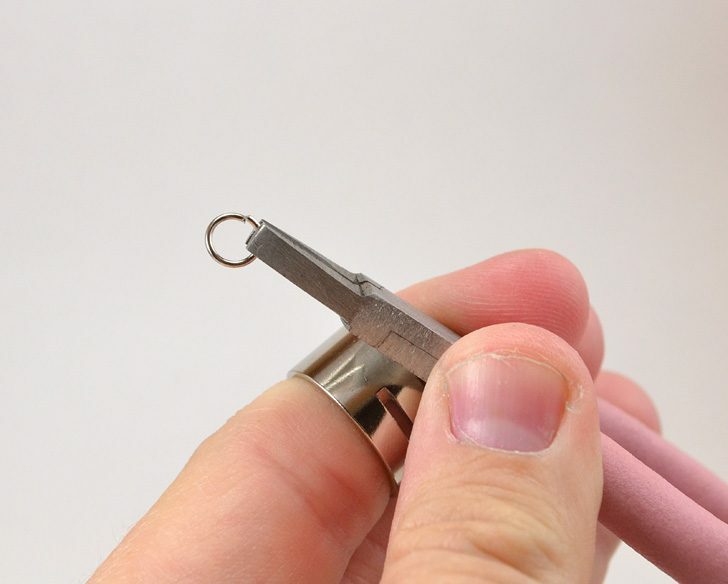 Want more help with putting on end caps? There’s a whole post about it! 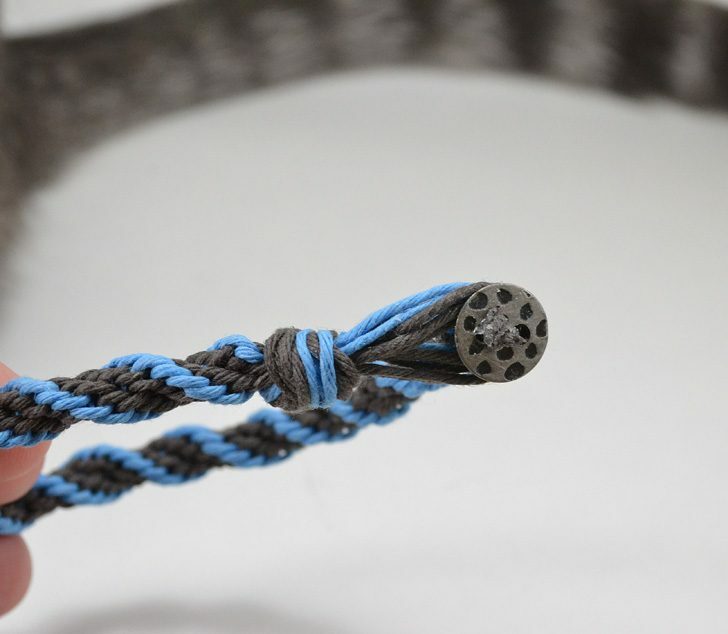 The lobster clasp can connect through the barrel cap for a neat finish! 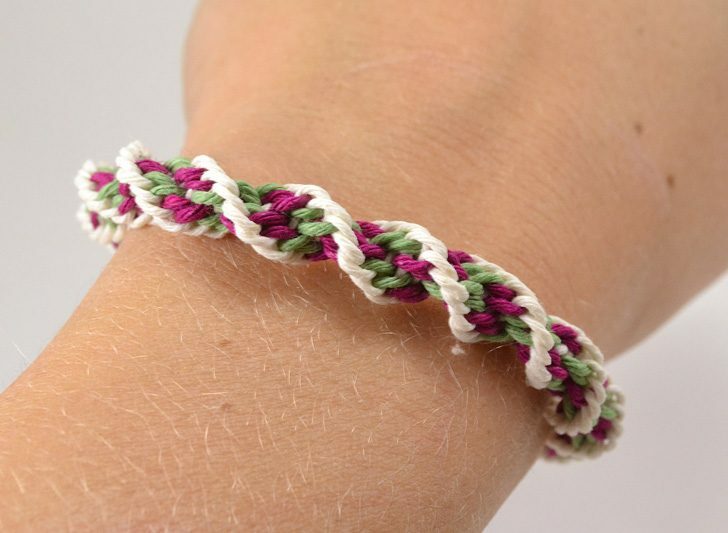 Spiral braids make for an awesome bracelet when using hemp cord. To start spiral braids gather a long length of cord (I believe mine was about a yard and a half but I had some waste) and find the middle. Make a loop and then a knot. Rock your braid as usual. Need help? 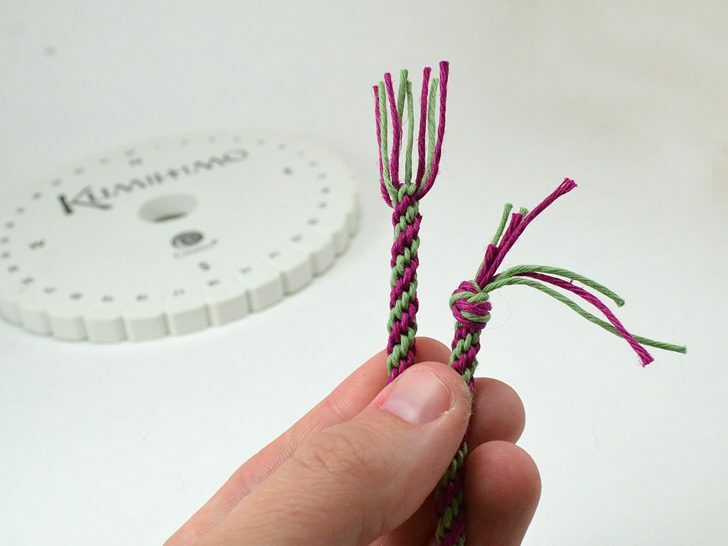 Here’s how to make a spiral braid. Finish with a button to complete the closure after you’ve reached your desired length. It may not be the best method, but I cut down all but 2 of my strings on the end after I’ve heavily glued the braid at the end. 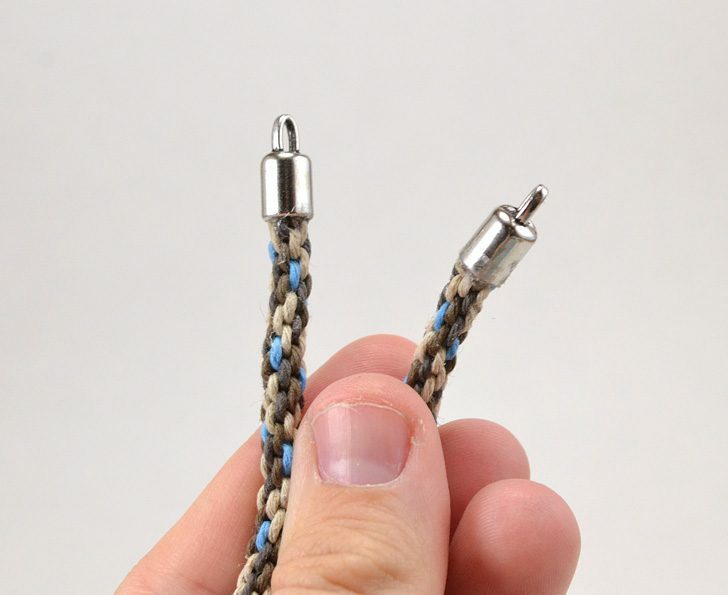 I tie those two cords in a knot over the button and the hit up the knot with a bit of glue to help it hold steady. All of these bracelets took a bit of time but since I braided while I rode in the car it seemed like no time at all. And now I have some really awesome matching sets that I love. A whole wrist of them look great! And those spirals. Dang I love those spirals! 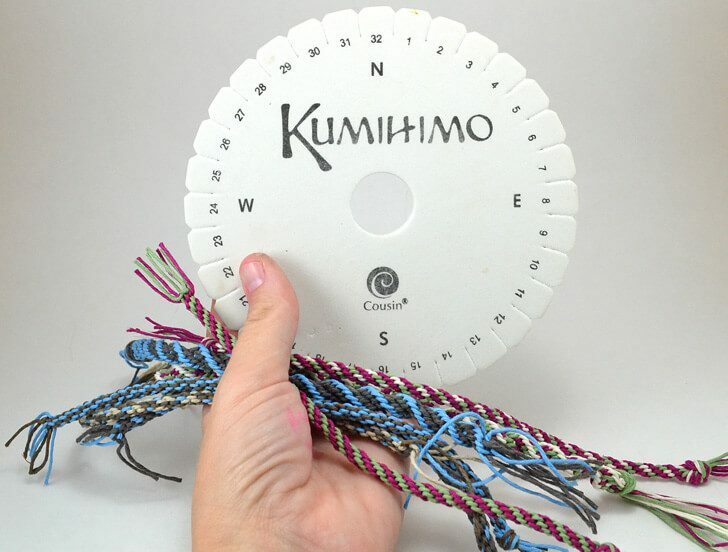 Do you love this but don’t know how to rock a Kumihimo wheel just yet? No worries! 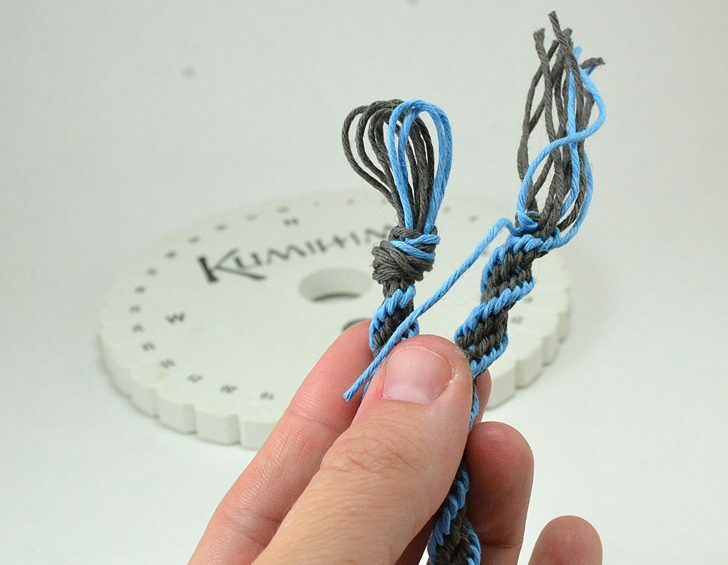 Learn the basic 8 strand Kumihimo braid here, the 12 strand spiral here, how to put on end caps on your Kumihimo braids here and tips and tricks for the new Kumihimo braider here! And even though I’ve been woefully inactive in Kumi, here is a whole gallery of projects from days past. Once you get that foam wheel a turnin’ you’re going to be in love with this awesome little craft! Hey, what’s up Allison?! Long time no see on here! I’m happy to be back and a part of your blog again. :) I missed it. In my absence in trying to work out some personal issues, I admit that I have also been busy with my art and making postcards and sketches. It’s my stress free zone. Dealing with the day to day challenges of life can be tough and just downright draining. But I found relief and a sense of calm while I was creating and coloring like a little kid! It helps keep the tremor in my hands at bay and it helps take my mind off of my troubles for a few hours! 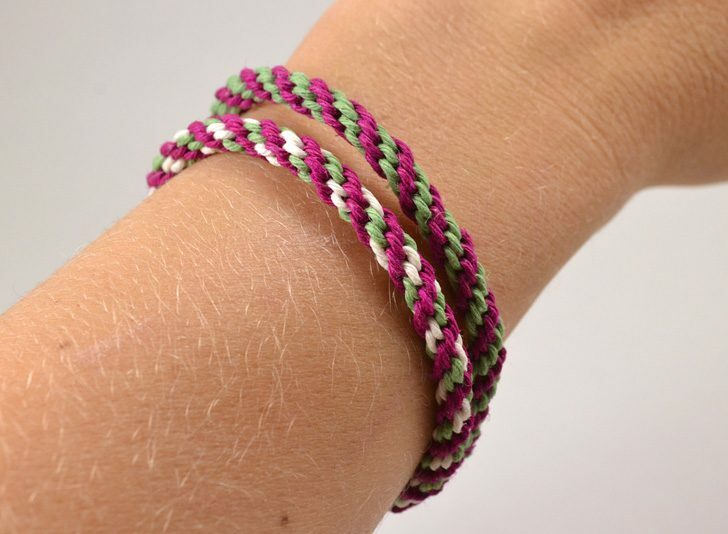 Your Kumihimo bracelets are excellent! Very well crafted. 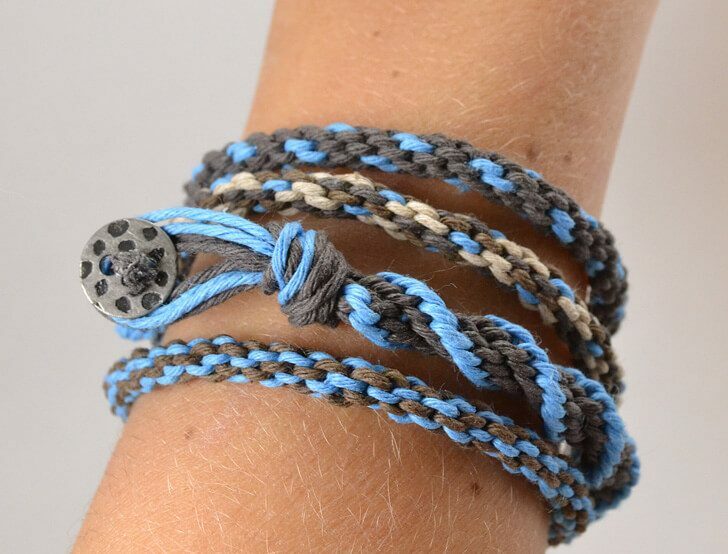 I admit that I love bracelets (they are for guys too for those out there who may not know that!). Ever since two of my pen pals sent me friendship bracelets in the mail a while back, I’ve fallen in love with them. I like how they feel on my wrists and they can be quite stylish! I know that I have a lot of catching up to do here but I should be back here more often these days. Thanks for your patience! Stay awesome! Love these! 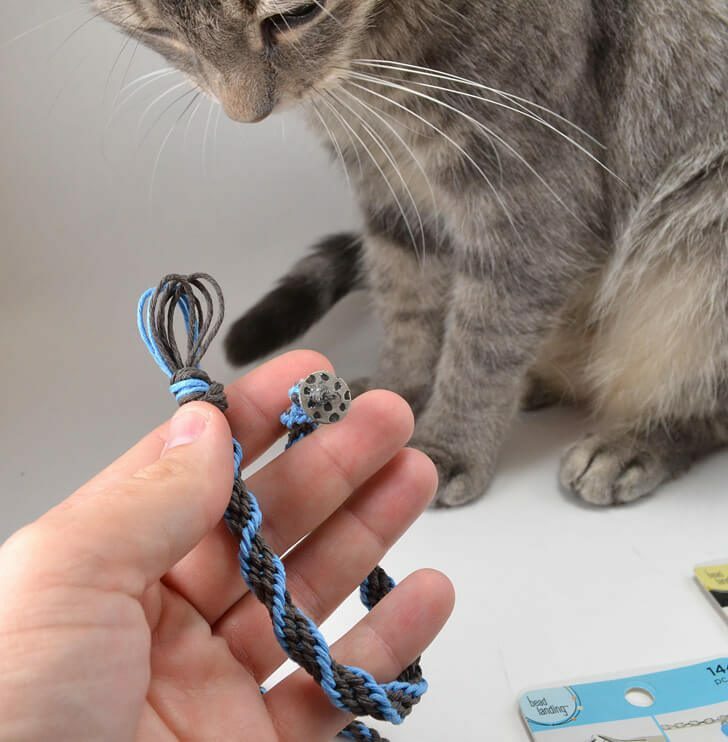 I’ve been experimenting with Kumihimo and satin rattail, and I find it stretches — so I have to make bracelets smaller than anticipated to allow for this. Any problem with hemp stretching?